Being an East Coaster now, I find it easy to travel to so many places in such a short amount of time. It can probably be easily explained by the fact that every state is significantly smaller than Texas. It feels a bit like there are these wonderful places outside of my door – New York, Pennsylvania, Connecticut, Vermont, Rhode Island, Maine…the list could go on and on. So it’s only natural that I explore these options. One of my most recent stops was New York City. Of course, I know many tried-and-true Bostonians who boo and hiss at the mention of New York (at least, that’s the stereotype). However, I find Manhattan to be fascinating. It seems like a place where anything could happen, at any time. Now, it’s important to note that New York City was not a place I had traveled to prior to moving to Boston. I never had an occasion to come out to NYC, though the desire was always there. Since moving, I’ve had the opportunity to travel to the Big Apple a few times. And something I recently realized was that I don’t take advantage of the opportunity to head out to NYC enough. Of course, for a relatively new visitor to the City, doing the touristy items is a must. On my first official visit, I faced a long-time fear of heights to travel to the top of the Empire State building. It was beautiful to see all of the area. However, the day I went to the observation deck, it was overcast and a bit windy. But it was a great experience! 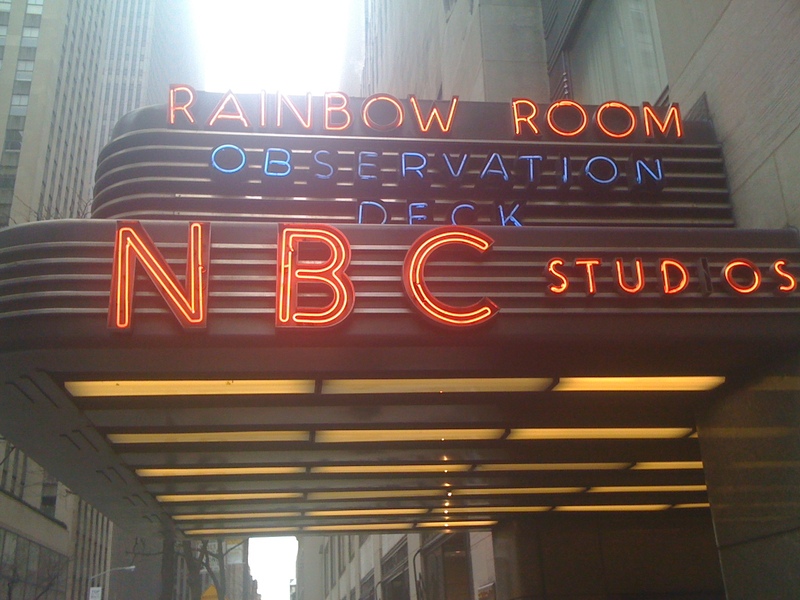 I also went on the NBC Studios tour where I saw a Saturday Night Live rehearsal in progress. Another location I was able to visit was the USTA Tennis Center in Flushing Meadows. This is where the US Open is played – and honestly, the grounds are really cool. It was, obviously, deserted since the US Open is in September but was still a cool sight to see. Equally interesting, the Flushing Meadows Park is where the World’s Fair was held. Personally, it’s interesting to see the area where buildings are, and imagine what it must have been like to be there at the peak of its existence. I’ve also gotten a chance to eat some incredible food in NYC. Again, on this last trip, I ate at Eatly, an Italian Marketplace around the Flatiron building. The panini I had was delightful – and even better, was eating outside on a 70 degree day. My first visit, I was able to eat myself silly at Max Brenners, which they now have in Boston. While this trip, I had an intimate brunch with friends at a small place in Hell’s Kitchen called Nook. Let’s just say: the name suits the restaurant. The few times I’ve been able to visit New York, I’ve had a great time. For me, I have a wonderful group of friends and family who live in and around the City, so it is such a joy to see the sights and eat with people who have the inside scoop. Despite the enjoyment that comes with traveling to New York, I’m positive that I would not want to live in NYC. I have incredible respect for those who love it. This girl, however, likes coming home to Beantown. 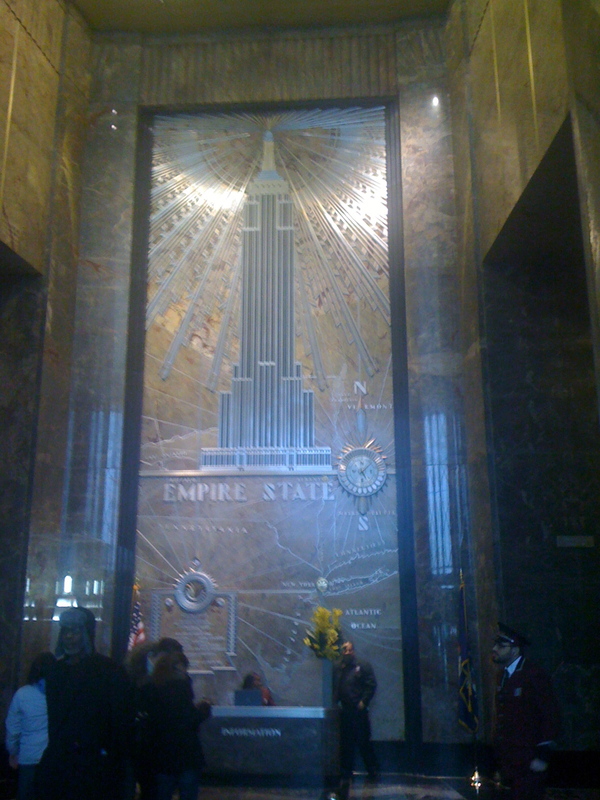 This entry was posted on Wednesday, May 16th, 2012 at 11:51 am	and tagged with Boston, eatly, empire state building, nbc tour, new york city, nook, saturday night live, society, spin, travels and posted in Uncategorized. You can follow any responses to this entry through the RSS 2.0 feed.